Biscotti? On LatinoFoodie? Sure! This twice baked Italian bread is perfect for any time of the year, but they are especially suited to holiday gift giving. For the second year in a row we baked off dozens of scrumptious biscotti as gifts to our friends and family. The Italian cookie is ideal for packing and shipping off. If you are feeling adventurous this New Year’s Day, try your biscotti with a nice fortified wine, such as a good Maderia or Port. For more variations try adding chocolate chips, toasted almonds or pine nuts, candied pecans, dry cherries or blueberries. For savory treats add cracked black pepper and Parmesan cheese or swap the orange zest for lemon and add chopped rosemary. Happy dunking! Preheat your oven to 350°F. Line a cookie sheet with parchment paper and spray with non-stick spray. In a mixing bowl, sift the flour, baking powder and salt. In a separate mixing bowl, cream the butter and sugar, about three minutes. Beat in the eggs one at a time until fully incorporated, about a minute each. Mix in the zest and vanilla, about one minute. Slowly add in sifted ingredients a little at a time until throughly mixed. 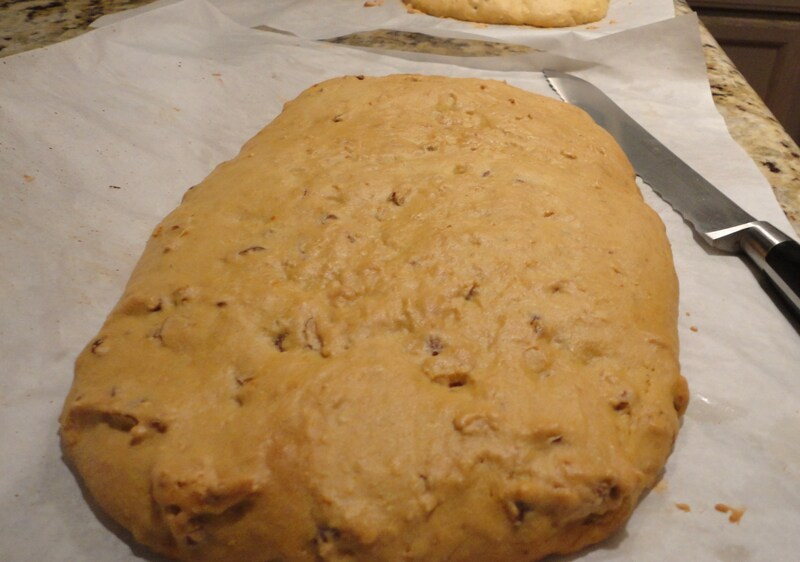 Place your dough on the parchment paper. Shape it into a 9″ x 4″ slab. Back for 30 minutes. 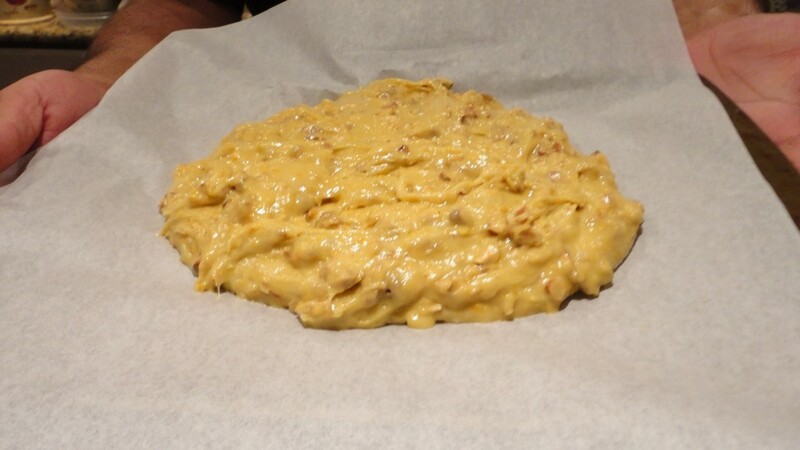 Remove from oven and allow to cool for about 20 minutes. Reduce the oven temperature to 300°F. 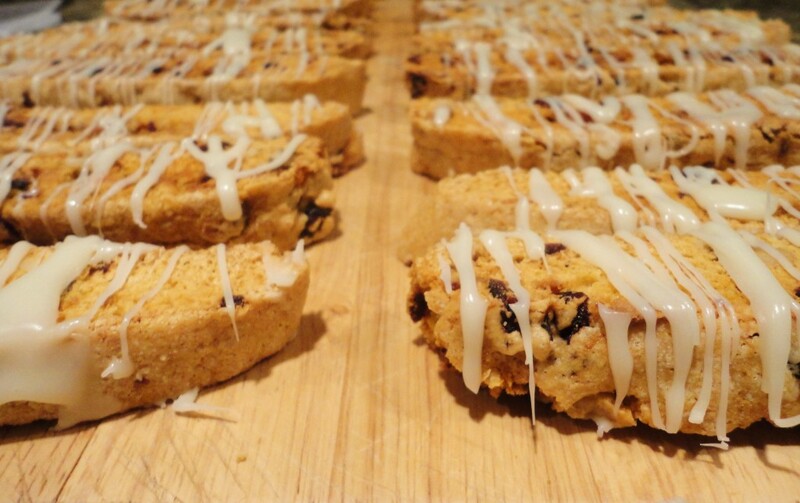 Once cool, cut your biscotti in 1/2″ thickness and lay cut side up on the cookie sheet. Bake for 15 minutes, flip the biscotti onto the other cut side and bake for another 15 minutes. Your dough will be sticky, so spray your parchment paper with baking spray or brush with a little melted butter. This will allow you to use the parchment paper to shape your biscotti without the paper (or your fingers) sticking to the batter. Do not rush to cut and re-bake your biscotti before it has a chance to cool, dry and set. Using a serrated knife will make your task easy. 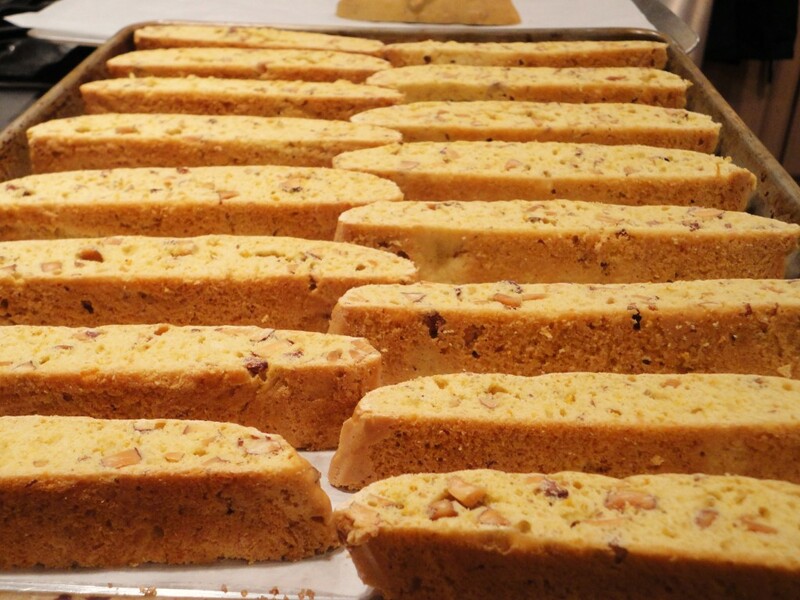 Cutting your biscotti any thicker than 1/2″ will take longer to dry, and may not set properly. Store your fully cooled biscotti in a re-sealable zipper storage bag. Remember they keep if stored right, so make a few batches at a time.